As a parent you would want to gift your child the world, less did you know, that your time and love is their idea of the world. There is a reason why they call home as the child’s first school, parenting on a broader picture concerns not only the right set of skills for the upbringing of your child but also does it call for a balanced amount of time that you as a parent must spend with them. Especially in the case of a nuclear family with working parents, the child seems to get all materialistic needs fulfilled, but they tend to miss out on spending time with their parents. It is essential to expose your kids to several sports and co-curricular activities, wherein, most of us end up sending them far from home and widen the gap between a parent and child. Will it not be great if you as a parent bring them to a kid centric home? Your child will not only be able to indulge in all sorts of recreational activities in the secured campus but also will you be a watchful guardian who can play, sing, dance and spend more time with them. 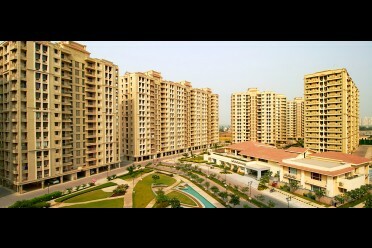 Kid-centric homes have come up as an innovative concept in the industry, for both the developers as well as the buyers. It is a place which will let your kids experience a planned set of amenities and also provide an environment for their overall development. The kids will be exposed to better learning, thus, preparing them for a better future. 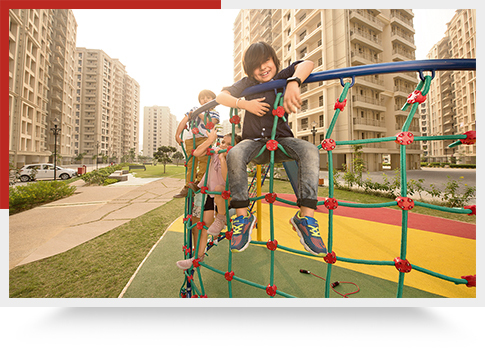 The design in the kid centric homes contains Sensibilities in terms of kid’s friendliness. The amenities like well equipped club houses, playrooms, crèche, swimming pools, sports and co-curricular activity arena. Infrastructure is designed keeping in mind the blend of sport infra, learning hub and other kids related amenities within the campus. A kid centric home tries to build an atmosphere wherein trained coaches available to nurture several learning experiences that promote kids creative and logical development like theatres, music, storytelling, art and craft and spoken English etc. All these events occur within the campus. The maintenance team and other staff is kid friendly with prospect of their uniform colors , their soft skills, their congenial behavior. The staff members are ensured to be apt in accordance with the kid centric campus. An interesting way to inculcate moral values in children is to present them in form of stories. kid centric homes dwell around the idea as no development is complete without fostering the element of morality and responsibility from within a child. Ashiana launched the first Kid centric home in India where your child can have the best of all worlds! With its prime location, affordable pricing and customised designs for the needs and wants of your kids, Ashiana’s kid-centric home is undoubted, a smart move in real estate investment. Also, the in-house amenities and planned calendar of activities ensures you don’t lose on the parent-kid relationship. The live and learn program, event calendar for each child and sports activities are a few of many reasons to why is ‘Ashiana- behtar parvarish ka pata’. Development of such homes will not just ensure a much needed safe & secure atmosphere for the kids but also function towards a constructive growth of the child. Also, apart from a recognisable upbringing, it alleviates the worries of you as a working parent. With school, home and play within the gated and secured complex of your house, parenting has not just become better, but also, convenient. Thank you for sharing your contact details, our executive will call you shortly and understand the requirement further.